Konica Minolta Business Solutions India Pvt. Ltd., a world-class technology company, rolled out its first road show in Jaipur recently as a part of its channel engagement initiative. The first road show that kicked off from Hotel Orchid Central, Jaipur was organised by Konica Minolta’s distributor,Keertika Enterprises. The event was presided by Mr. Tadahiko SumitaniMD, Konica Minolta Business Solutions India Pvt. and Mr. Kuldeep Malhotra, EGM Sales. 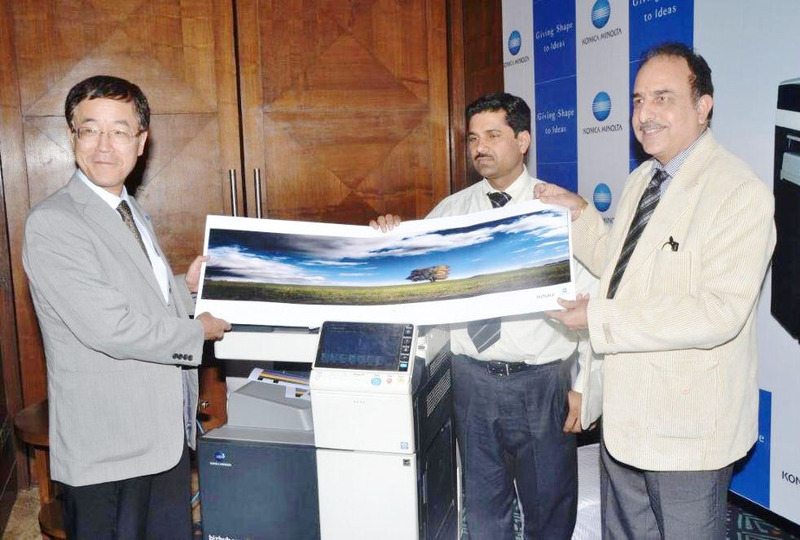 Konica Minolta is aiming at the mass volume market of A3 size printers in India. The main focus of the road show was to showcase the new range of A3 sized printers specially the color A3 MFD machine. The other A3 printers like Bizhub Series bh 284e with Fiery controller were showcased to highlight better print quality. Besides, machines bh 164, bh 224, bh 215, bh 423 were also displayed. The demo of all the products were pre-arranged for the customers and prospective buyers. The customers were able to have hands on experience with the printing machines and witnessed the superior quality of the A3 Printers. The roadshow witnessed more than 100 partners and customers from places like Bikaner, Alwar, Ajmer and Jaipur.